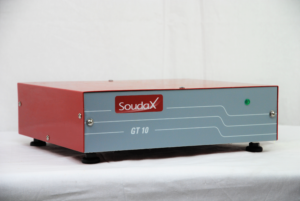 The electromagnetic head generator provides an interface between Soudax generators and electromagnetic heads. It powers the electromagnets on the heads depending on the welding program parameters. 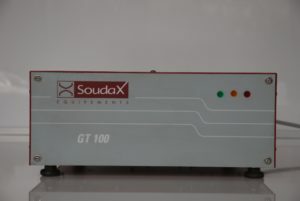 Power unit for the electromagnets on Soudax electromagnetic heads. Variable force during the welding cycle, via a link with a Soudax generator.